Every evening you can bet your last dollar on a glorious sunset off the California coast, unless the sky is overcast with clouds. The Golden State is known for its golden sunsets. Some can them on their way home from work, while the truly lucky ones are able to open up their homes to the awe-inspiring view with frameless sliding glass technology. So what are the best, and we mean the finest places in Southern California to see nature in its evening best? Griffith Observatory has been aiming for the stars above Los Angeles since 1933. Griffith Park sits high up on the south-facing slope of Mount Hollywood, strategically placed above the city lights. Visitors can peer through telescopes, explore various exhibits, and enjoy live shows in the Samuel Oschin Planetarium. The grounds are a beautiful place for lounging and picnicking. Santa Monica Pier has been host to sunset watchers for over one hundred years. 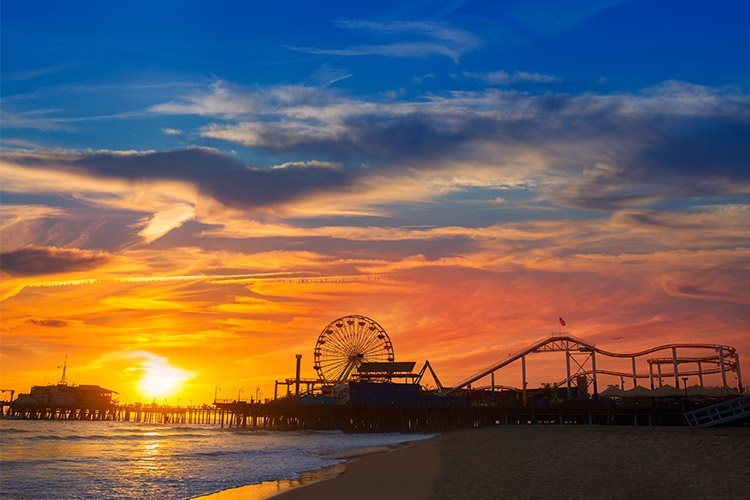 Visitors can enjoy biking and running paths along the beach leading from Venice Beach to Santa Monica Pier, keeping their eyes set on its iconic ferris wheel. Looking to avoid the crowds? Manhattan Beach Pier sits a few miles south of Santa Monica and a just north of Redondo Beach and offers a quieter atmosphere for people watching. Terranea Bluff Top Park stands atop tall cliffs, and there are trails to sea caves and various scenic hikes. Pelican Cove is a good place to be dipping in the daytime. Stand under the sky over Rancho Palos Verdes at night. The parking is free. 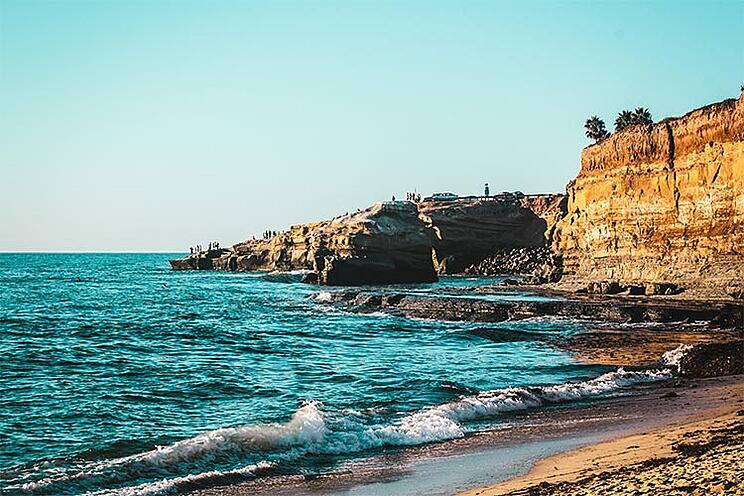 Sunset Cliffs Natural Park in the lively community of Ocean Beach in San Diego is a 68-acre playground along the Point Loma peninsula shoreline. Visitors can perch on cliffs or settle along the beach to absorb the last rays of the setting sun. Throughout the year one can catch pods of majestic California Gray Whales migrating annually from Alaska to Baja California and back. Corona Del Mar offers two main beaches, Big Corona and Little Corona. Whether you spend your day surfing or playing volleyball, exploring tide pools or sunbathing, there is no finer place to catch a sunset. Inspiration and Lookout Points are two of the best spots to catch the sun dipping into the water, it’s one of nature’s greatest movie shows ever. Tucked away in Laguna Beach, 1000 Steps Beach is a great location to spend the day or catch the colorful evening show. There’s a good amount of beach and rocks to clamber on top up while enjoying the beautiful sunset. There is also a curious sea cave that is accessible during low tide. Allow yourself plenty of time to climb back up what truly feels like a thousand steps. Let the sunset begin! Also known as Casa Beach, Children’s Pool Beach is a small sandy beach in La Jolla filled with tidal pools for the children (and adults!) and cool diving spots for general visitors. Imagine the sheer magic as the water recedes and multiple ponds appear in the glow of sunset. Look at sea stars while you marvel at the emergence of the real stars in the afterglow of the setting sun. Few things are more pleasurable than enjoying a sunset in your living room, bedroom, really any room in your home! Imagine watching a beautiful sunset from the comfort of your couch or bed, surrounded by your loved ones. Frameless sliding glass doors allow you to Welcome the Outside In™.